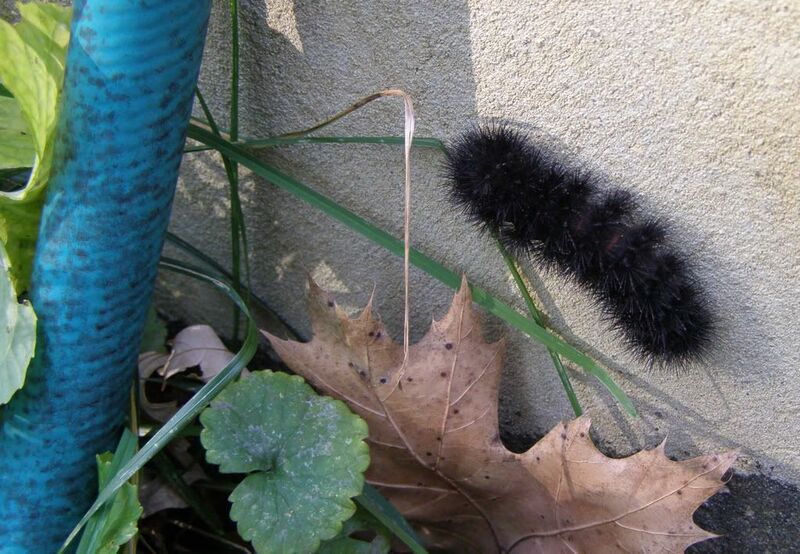 Woolly Bear caterpillars are on the move. 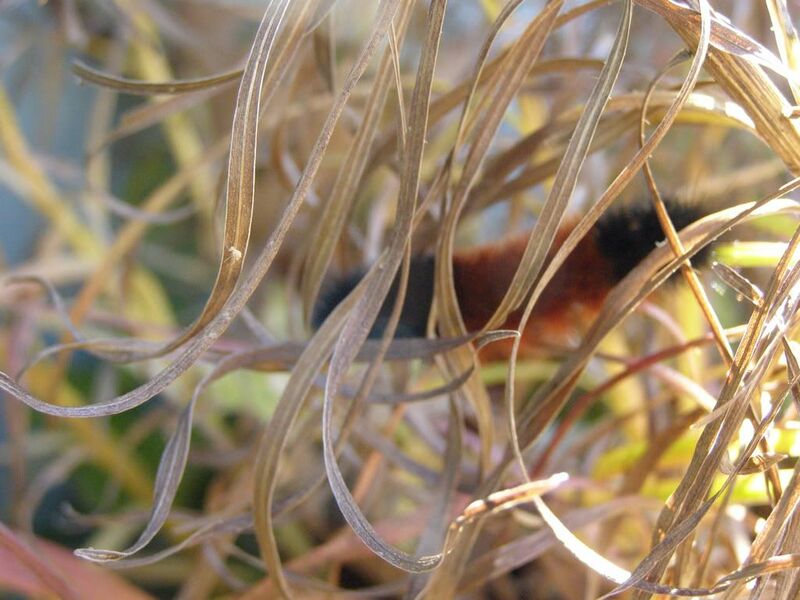 Pyrrharctia isabella is one of the more commonly seen over wintering caterpillars. They're one of the few caterpillars that can eat virtually anything, but oddly enough only take short nibbles here and there. Much of their time is spent wondering aimlessly. Once winter occurs they will hibernate usually under logs, in leaf litter, or under the bark of trees. Come spring time they can be seen wondering again but are less common than in the fall time. The resulting moth is just brown and doesn't really seem very special. Hypercompe scribonia, or the Giant Leopard Moth as it's called, is probably the second most common one crawling around now. 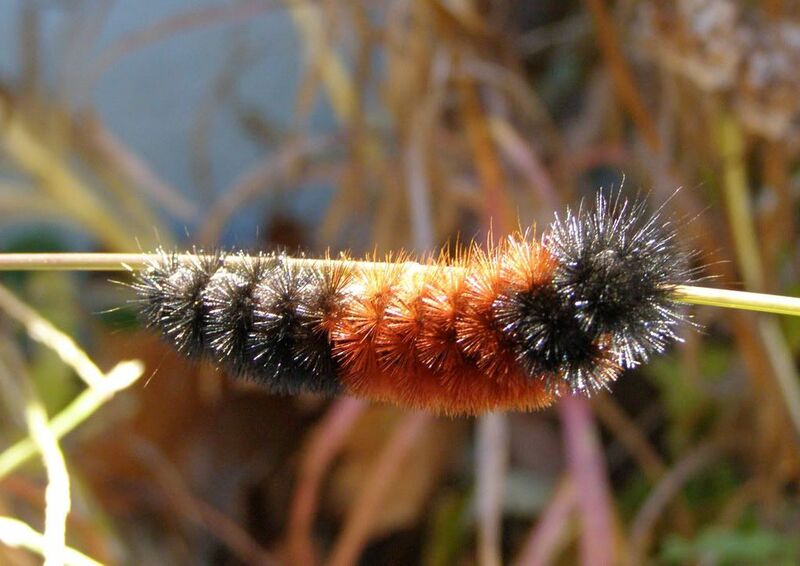 They're also mistaken for Woolly Bears because they almost look the same. The difference is that Leopard Caterillars are a little bit bigger and don't have the red/brown stripes we see on Woolly Bears. Giant Leopard Moths are actually very pretty. You've probably seen them if you're living in the easter US and Canada. They're an all white moth, somewhat furry or feathery, and have black spots all over. They're worth googling.